Syamisen is indispensable to Japanese classical music. It is a stringed instrument to play three strings. “Yoshida brothers” are the famous players of the Tsugaru samisen. They play an active part in the performance beyond the genre of the music worldwide. Do you not think that they are cool? The origin of the stringed instrument such as “Syamisen” is “a lute” made in the Middle East. 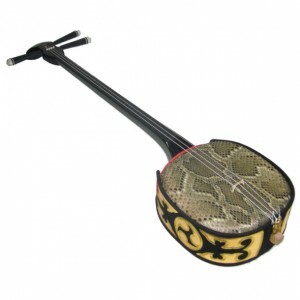 It became the model of the guitar in Europe and became the musical instrument called “Sangen” in China. “Sangen” comes to Okinawa of Japan. And it is “Syamisen” I change some figures, and to have reached the whole land of Japan. 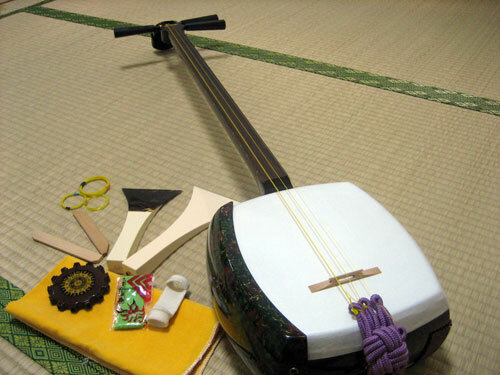 The samisen has the part which is different from other stringed instruments. That means that there is not a hole. A loss founds a lute and the guitar to let a sound be resonant. 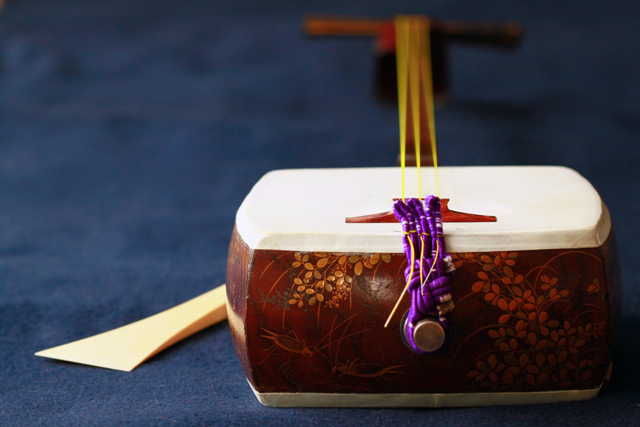 In Syamisen, leather is completed to let a sound be resonant on the principle of the drum. The lute and the guitar made the bowels of the animal iron wire. The skin of dog and cat was used for Syamisen. However, the things using the artificial leather increase now, too. “Jamisen” using the snakeskin is common in Okinawa. The Japanese classical music is unique tempo and rhythm. It features the musicality with the unhurried personality. The samisen was used as an accompaniment musical instrument of such a unique Japanese music. There was not it with “a musical instrument to tell music” and was “a musical instrument to support a song”. However, various players build a new style now. I give the treatment that it is equal to a guitar and a base. Syamisen plays an active part as the leading role !! The band group comprised of “a Japanese musical instrument” is popular in recent Japan. The collaboration with other genres and various arrangement. How do you take in the traditional arts that oneself assume in the present age? What is not spread in the fashion is splendid. It is interesting to be interested from modern Syamisen. And you will hear Japanese tradition music, too ! !